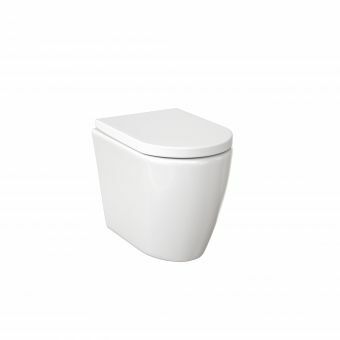 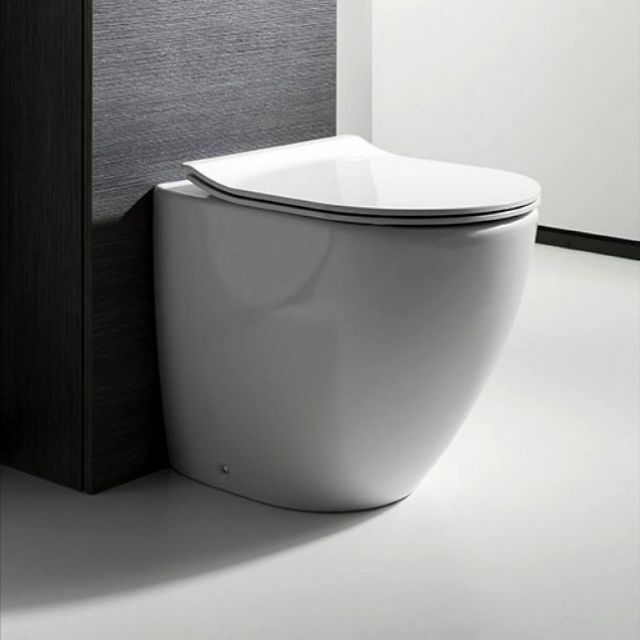 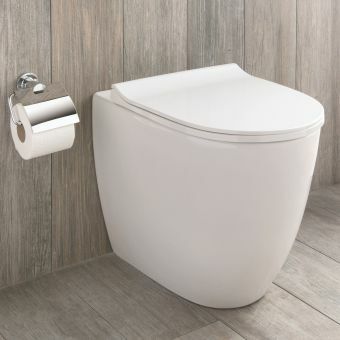 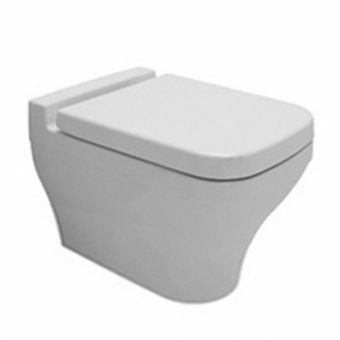 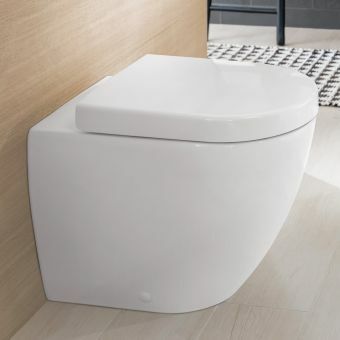 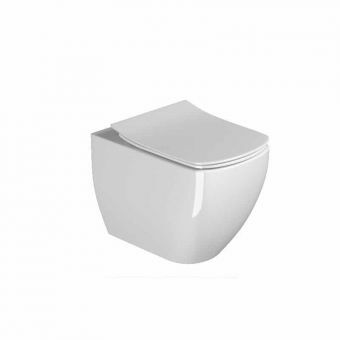 The appropriately named Svelte Back to Wall WC is a sleek, stylish example of the Bauhaus range. Supplied in two colour finishes, there is also a stunning Platinum version is also available for those with a taste for the glamorous look, work it into a minimal interior to pick up on the Metallic trend for a high-end look. 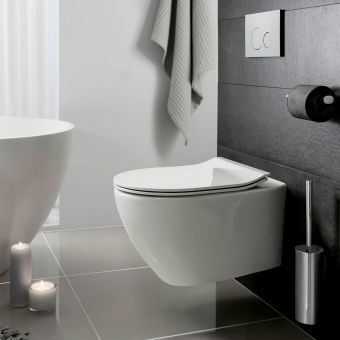 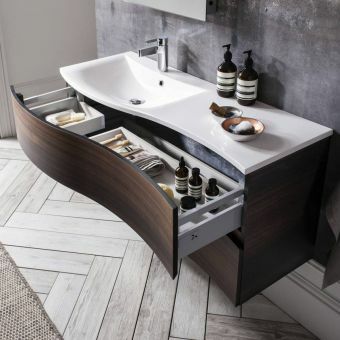 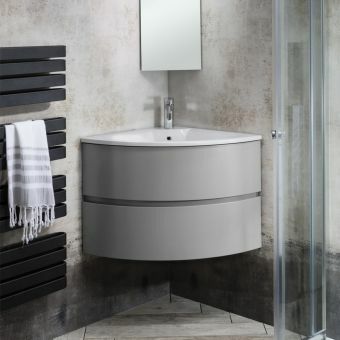 A trim profile, discrete floor fixings and a simple style make this the ideal choice for those wishing to design a bathroom with a sense of cleanliness and calm. 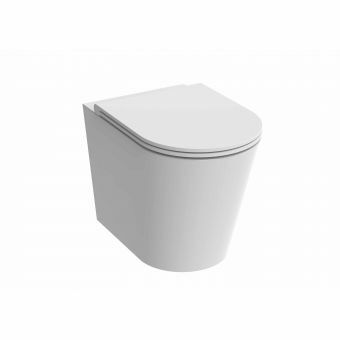 Its simple footprint is devoid of dust traps for minimal cleaning, and its required concealed cistern unit keeps visual clutter to a minimum. 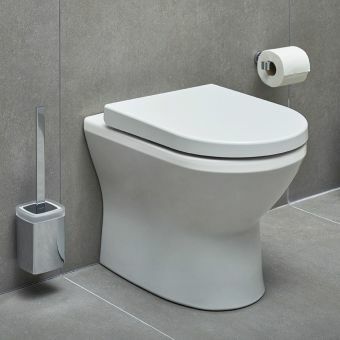 Available either with a standard close seat, or a dedicated Svelte Wrap Over Soft Close for an additional touch of luxury.